Paris-based Backup Media has come on board to fully finance Tim Sutton’s “Donnybrook,” the adaptation of Frank Bill’s 2013 noir novel, which David Lancaster’s Rumble Films is producing. On top of financing the film, Backup Media is currently negotiating distribution deals for Germany, Switzerland, Benelux and Austria. Manuel Chiche’s banner The Jokers is co-producing the pic and will release it in France. 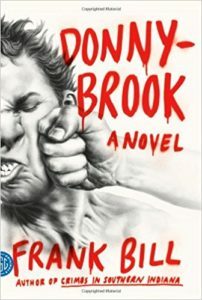 “Donnybrook” will start shooting in August in Southern Ohio. UTA Independent Film Group is repping North America.